The basis for how automated systems and infrastructure sensors will coordinate their activities and communicate with each other is currently being tested in Dubai, some cities in China and the US. McKinsey analysts predict that by 2020 the number of smart cities will reach 600 worldwide, and 5 years later almost 60 percent of the world’s GDP will be produced in them. Digital technologies could become the engine of economic progress, and blockchain, without a doubt, could be one of them. Let’s imagine how far we can progress if the following innovative inventions are united. What aspects of a city would be run by IoT and blockchain, say, in ten years? Unmanned cars and trains can run in the cities and control over airspace no longer requires dispatchers. Products do not deteriorate, sellers do not drive up prices, and medical cards do not disappear. Does it sound like a utopia? Not exactly. 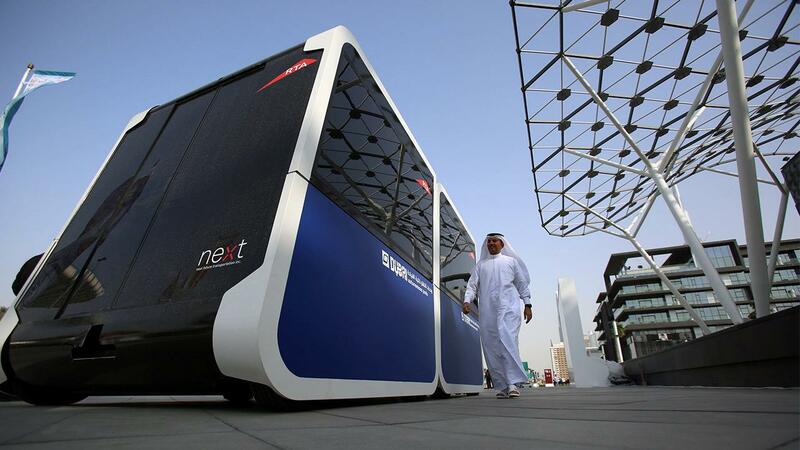 It could be surprising to know that somewhere, this ‘smart future’ is being built right now. And it's not just about cryptocurrencies or payment services, but about whole cities with all processes controlled by blockchain. These are the cities of the future, and they are already being created. Today, Dubai is considered one of the most digitally progressive cities in the world. With unmanned trains, automated sensors, flying taxis, solar panels, and Wi-Fi benches, perhaps it has everything that an avid futurist needs. The authorities of the Emirates are not stopping at what has already been reached and are actively implementing the most innovative ideas in order to turn the city into the first blockchain-based smart megapolis by 2020. In terms of the number of projects being implemented, including those where blockchain is used by Google, Uber, Amazon, IBM and other corporate giants, Dubai ranks first in the world, thanks to the government-supported Smart City program. The Smart City program, launched in 2014, involves the phased implementation of more than 545 projects that will change the way residents and visitors of Dubai interact with the city. The local authorities plan to create a paperless digital space in the private and public sectors. All document circulation will be conducted in electronic form, and launching a business will become more simplified for citizens. In particular, a pilot program is being developed to track, ship and deliver imported and exported goods using blockchain technology. The main idea of its integration into the foreign trade of the city is to create a single safe and transparent platform. The implementation of a blockchain system into the urban structure is projected to save about $1.5 billion and 25.1 million man-hours due to increased efficiency in the processing of documents, which is supposed to set government institutions free from queues. Blockchain will be also applied in logistics and storage. This will help create an entire system of smart unmanned trucks for the transport of products or materials. It would interesting to know that blockchain was used in Estonia before it became mainstream, and even before Satoshi Nakamoto invented Bitcoin. They say that the reason for such progress was the cyber attack of 2007, when — at one point — the websites of state services and the government went offline because of heavy DDoS attacks. This caused Estonia to reconsider its attitude toward data security and reach out to what we are now calling blockchain. Since 2012, distributed ledgers have been used in Estonia’s national health, judicial, legislative, security and commercial systems. The technology has already gone beyond the scope of experimentation and has reached mass adoption. In particular, the Estonian government has introduced blockchain to provide its citizens access to control their personal data. Due to this, Estonians can control, view and, if necessary, challenge illegal access to their information. 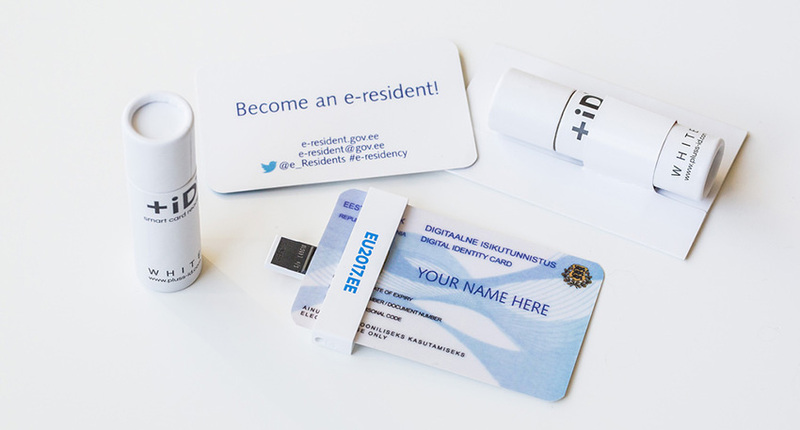 Moreover, from now on, citizens have the opportunity to check medical specialists or civil servants who looked through their medical card, insurance or driver's license. Any official who accesses personal data without permission can be prosecuted. The government seems to be sensitive to its citizens data security and integrity. Perhaps it’s one of the remedies the value of which is hard to underestimate, not only in terms of comfort, but also in terms of preventing irreparable consequences, such as the tragedy in Haiti in 2010, when an earthquake destroyed the archives containing land records, leaving residents having to challenge their real estate ownership. The first city of the future is supposed to be Yinchuan, where they have already abandoned traditional payments. Now, instead of tickets, passes and documents, it is enough to simply show one’s face! And no more tiresome shopping — products are ordered through a mobile application. The Internet, cloud computing, large data, artificial intelligence, machine learning, blockchain… will drive the evolution of everything — digital, network and intelligent services will be everywhere. 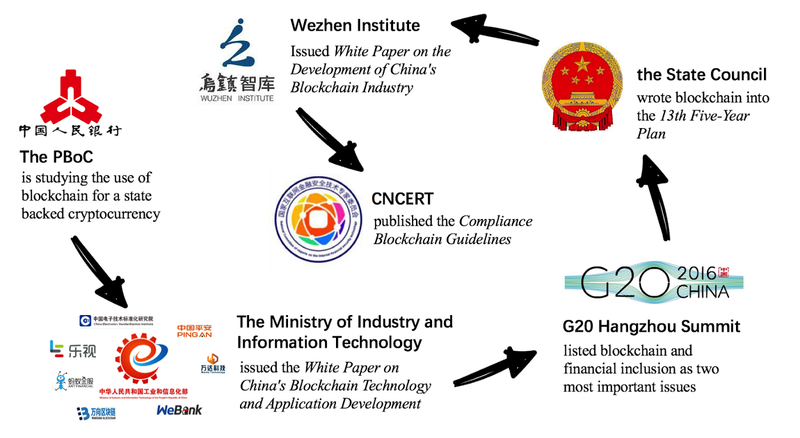 In April 2017, the Wuzhen Think Tank released a white paper on the development of China’s blockchain industry. The paper introduced global and domestic blockchain-industry trends and provided valuable knowledge for research entities and related enterprises. A few months later, the National Committee of Experts on Internet Financial Security Technology published its Compliance Blockchain Guidelines. Currently, Chinese authorities are actively studying blockchain in terms of more orderly data storage. On April 24, the National Audit Office of China discussed the use of the technology to solve problems inherent in centralized storage infrastructure. Li Ming, an official working with the Ministry of Industry and Information Technology, has revealed that the Chinese national standard plan for blockchain has been completed and is to be announced publicly soon. It’s already known that blockchain national standards include data security, business and application standards, and other credibility and interoperability standards. It is planned that each separate office and accredited auditor will be assigned a separate node, which will help reduce the burden on the government, while providing a trackable ledger that will record each transaction. However, despite the green light given by the government, it is not yet known how soon the discussion of the project will go into the implementation phase. Nevertheless, this is an official recognition of the beginning of a new digital era in China, which gave a big impetus to the development of blockchain technology. And again, as in the case of Estonia, blockchain has become a solution to the security problem. In 2014, one of Hong Kong's largest banks, Standard Chartered, lost nearly $200 mln as a result of credit fraud. Scammers used duplicate invoices for the same goods to get money from banks. To prevent more financial frauds Standard Chartered, together with a government agency in Singapore, utilized the blockchain and developed a unique cryptographic hash for each invoice. Companies managed to create an electronic ledger of invoices that uses a parallel platform to the blockchain employed in Bitcoin transactions. This ensures that no double operations are carried out and banks do not lend money for fake invoices. Blockchain technology in the US is not just a tool for operating cryptocurrencies or managing databases. Local authorities recognized the potential of blockchain in the provision of public services and launched a number of projects currently in different stages of implementation. The state of Delaware was the first to announce the Delaware Blockchain Initiative in 2016. This comprehensive program launched by then-governor Jack Markell is designed to stimulate the use and development of blockchain technologies and smart contracts in both the private and public sectors of the state. It’s worth noting that the authorities officially recognized electronic transactions recorded in blockchains as verifiable data, and the bill was signed in order to legalize blockchain transactions for accounting and other business records for local companies. The initiative was supposed to become a step in preventing future taxation-related problems and records manipulations. But recently, expectations of Delaware's blockchain supporters appeared to have been dashed, as the current administration under the governor John Carney has shown more caution than its predecessor. The Blockchain Initiative partnership between Symbiont and the state of Delaware continues to be a positive one. We strongly believe private-public relationships bringing blockchain technology to state infrastructure will create advancements that benefit everyone involved. Perhaps the current government of Illinois will work faster than its predecessors. In 2017, the state announced the Illinois Blockchain Initiative, which calls on the consortium of state agencies to cooperate in exploring innovations presented in distributed ledger technology. The authorities of the state also intend to promote the use of blockchain "to transform the delivery of public and private services, redefine the relationship between government and the citizen in terms of data sharing, transparency and trust, and make a leading contribution to the State's digital transformation." Who's next in the blockchain queue? West Virginia will launch the blockchain-based pilot versionto conduct mobile voting in 2018 regional elections. 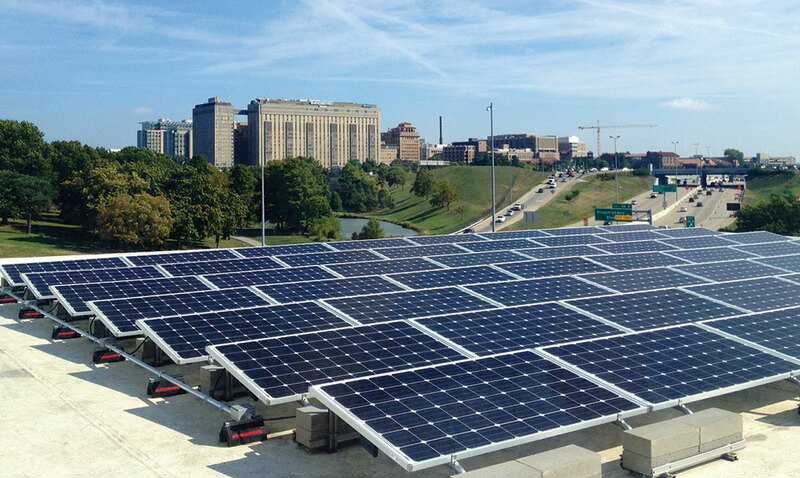 And let's not forget about New York, with its Microgrid project being developed specifically for households who want to buy and sell electricity produced by solar panels. Ethereum-based contracts are supposed to solve citizens' old problems — they finally use electricity exactly where it is produced, and, within a day, can exchange solar energy with neighbours, depending on which side of the street is currently better illuminated. Alibaba Cloud & Waltonchain signed an agreement on strategic cooperation aimed at using blockchain technology in the field of smart cities. The results of the partnership are designed to address the problem of limited resources and services caused by the rapidly-growing megapolis population. Other countries have also put a tag on the map of blockchain globalization. However, many projects are at the planning stage, rather than the exploitation stage. For example, the German energy company RWE is working on the creation of an Ethereum-based network of charging stations for electric vehicles. Drivers will be able to control the charging process using a special application, and blockchain registry will be responsible for calculating the energy spent, making payments and identifying users. Another outlandish idea is to create a "charging on the fly" opportunity, when the electric car is charged directly during the trip. The Australian government announced a grant of $8 million for a blockchain project to create ‘smart utilities’, and the Tokyo Electric Power Company (TEPCO) plans to use the technology to prevent a recurrence of the disaster in 2011, when a leak at the Fukushima Daiichi nuclear power plant caused significant and widespread disruption. The life of metropolises does not stop for a minute, and the launch of new technologies takes time. It may take years before blockchain, which will interact with IoT, artificial intelligence and big data, will be integrated to manage urban services and public infrastructures. However, many countries in the world have already embarked on the path of a digital economy and very soon we could see qualitative changes in social, economic and environmental aspects of life, without piles of papers, giant traffic jams, documentation errors and double transactions. Look around you — maybe the city you live in is one of them.